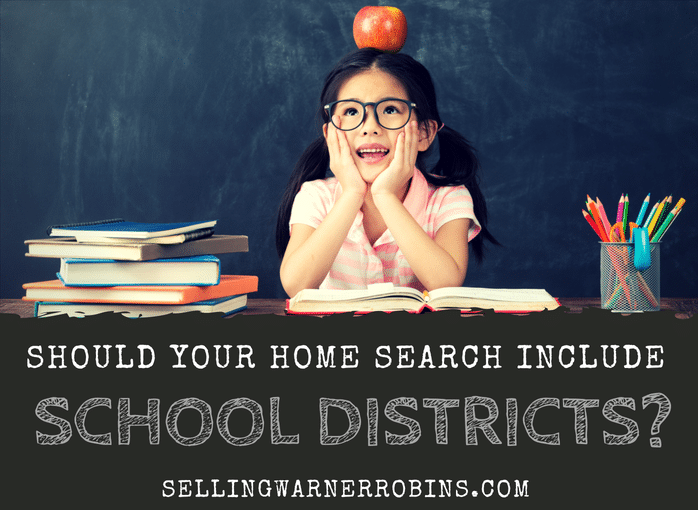 For families, buying a home located in a top-rated school district is a no brainer. In addition, the benefits to buying near the best public schools in your city may be worth the cost, even for singles and young couples without children. While you may pay more initially, home values in sought after school districts are typically higher and provide protection through market downturns. Aside from the clear financial benefit, investing in a neighborhood that feeds into a highly-rated school district attracts a larger scope of buyers at resale. Not only are you attracting individuals seeking long-term value, but parents who are eager to send their children off for a quality education. The costs do matter, of course, which is why a recent book, “The New Rules of Real Estate” analyzed home value and GreatSchools data to determine how much of a correlation exists between property prices and school ratings. In the book, each state is given a school parity number to gauge the relationship between school quality and nearby home values. 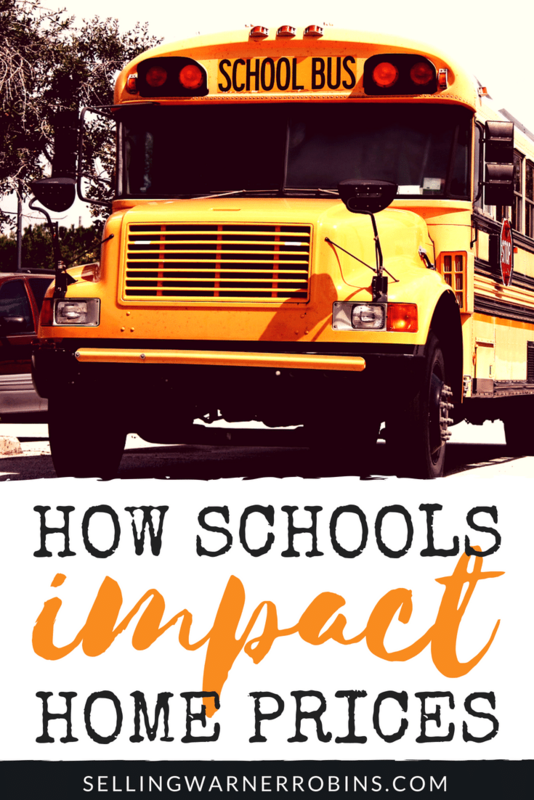 What it all means is that property values can be lifted by living near excellent schools and those higher property values can help benefit the quality of the school. Larger point differences denote a larger disparity between school rankings for homes in the top 10 percent of values versus the bottom 10 percent. Smaller numbers exhibit stronger school parity (or equivalence) between school ratings near homes on the high and low end of the statewide market. As the top five states with the closest school parity, New Mexico, New York, South Carolina, Virginia and Minnesota illustrated the faintest relationship between home values and school quality. In these states, higher quality schools are not limited to higher home value neighborhoods as drastically which means consumers can find excellent schools in many different price points. In New Mexico, the difference in school quality between the least and most affluent neighborhoods is a low 3.6 points out of 10, based on GreatSchools school rankings. New Mexico’s homeowners who fall in the bottom 10 percent of home values see GreatSchools ratings around a 4.1 out of 10, while those in the top 10 percent see GreatSchools ratings near a 7.7 out of 10. Although the distinction is still present, the spread is not as large as other states in the U.S. Meanwhile, homebuyers in Michigan, Pennsylvania, Ohio, Georgia and Tennessee hold significantly higher home values in highly-rated school districts, increasing the point difference in school ratings between high- and low-value neighborhoods, or lesser school parity. In Michigan, homebuyers in the bottom 10 percent of home values have access to districts with a mere 2.1 GreatSchools rating, while those in the top 10 percent are located in districts closer to a 9.2 rating. Living in good school districts clearly matters in these states! In Pennsylvania, where the school parity is a larger 7 points, homeowners who move from a neighborhood near a 5 school to a 6 school face 15.4 percent higher costs. To move from an 8 to a 9, Pennsylvania buyers pay a staggering 60.1 percent more for their homes. If buying a home in PA, you need to consider this when you purchase and in terms of resale if you plan on selling in the next several years. As one of the states with the least school parity and largest point rating differences, Georgia holds a 6.8-point school rating difference between low-cost areas and high-cost areas. Like Michigan, Georgia home buyers in the bottom 10 percent of home prices see school ratings closer to a 2 rank, while those in expensive neighborhoods have access to schools closer to a 9 rank. Buyers in Georgia may face steeper home prices for homes in highly-rated districts, but they also benefit from higher home values and potential returns at resale. Trading up to a home within a high-rated school district does not have to stretch your budget beyond its limits, even in states where school parity is smallest. Many affordable properties lend way to above-average schools, but overall pricing largely depends on your entire must-have list. For example, searching for a home in a highly-rated school district on a low budget may force buyers to sacrifice square footage and high-end upgrades. But, return on investment is largely conditional to location – much of the home’s characteristics can be altered or upgraded after closing. Beyond delivering higher average returns, highly-rated school districts can protect current homeowners from the ebbs and flows of the real estate market, essentially allowing for a safer investment down the road. Aside from being financially beneficial, neighborhoods with high-ranked school districts tend to foster a solid sense of community. Because these areas attract academic-focused households, buyers can look forward to local events, parks, facilities and an overall family-friendly atmosphere. For instance, in Warner Robins GA, six public schools boast an 8 or higher rating, including Quail Run Elementary School, Feagin Mill Middle School and Houston County High School. The Houston County School District that serves Warner Robins public institutions holds a 7 out of 10 rating, showcasing above-average education opportunities in the area. With a median home value of just under $100K, Warner Robins shows that affordability and high-ranking schools can co-exist in one dynamic environment. Visit Schools Yourself – There is no better way to completely evaluate each school than to visit them yourself to see how they operate. Preferably, visit while school is in session so you can observe the interaction/flow when there is student activity and controlled chaos. Work With A Local Real Estate Agent – It makes perfect sense as they know the local market, should have an understanding of the school districts, and will provide an unbiased and fact based opinion (assuming a buyers agency agreement has been signed) of the entire area. As always, trust but verify any information you receive. Use Your Network – This is where your network of friends and family can really pay off, especially if you value and trust their opinion. They may have insight into a particular school or school district that you may not have otherwise known about. While they can be an effective and important resource, ensure the information provided is free from personal bias and based strictly on factual data. Your stage of life, what you are willing to spend, and your family needs should take priority over other considerations as you begin searching for a home. New buyers who consider all the facts, and take into account the importance schools can make in resale value, are poised to find the value they seek. Even if you do not currently have a family or are just starting one, the impact purchasing a home in a good school district has should not be ignored. All things being equal, buy the home with good schools and reap the rewards either when your own children attend or when you sell the property to the next owner. What an interesting article! Thank you for providing this insight. I wonder if this is a subject many people consider when they are purchasing a home. It’s interesting to consider how each state differs from the each other when it comes to school selection and home selection.